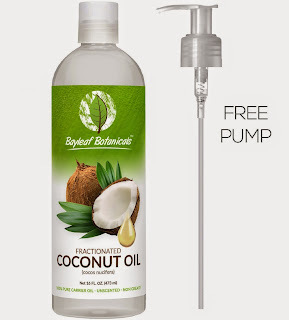 Bayleaf Botanicals sent me a bottle of their Fractionated Coconut Oil for review. Coconut is the fruit of the coconut palm tree, the oil of the nut (fruit) is used to make medicine and many other things. Fractionated coconut oil is saturated (liquid) oil and contains capric and caprylic acids. These two types of acids give the oil antioxidant and disinfecting properties. This product is one of my favorite beauty products because you can use for anything and it is very affordable more than a lot of beauty products. You can use it for everything for cooking/baking, skincare, hair conditioner, massage oils, makeup, soaps, and many more benefits, plus you can use it for a lot DIY projects. When applied it to my skin, it became softer since coconut oil has a moisturizing effect and it is very lightweight. A little goes a long way, hydrating my dry skin like a baby’s bottom without clogging my pores. 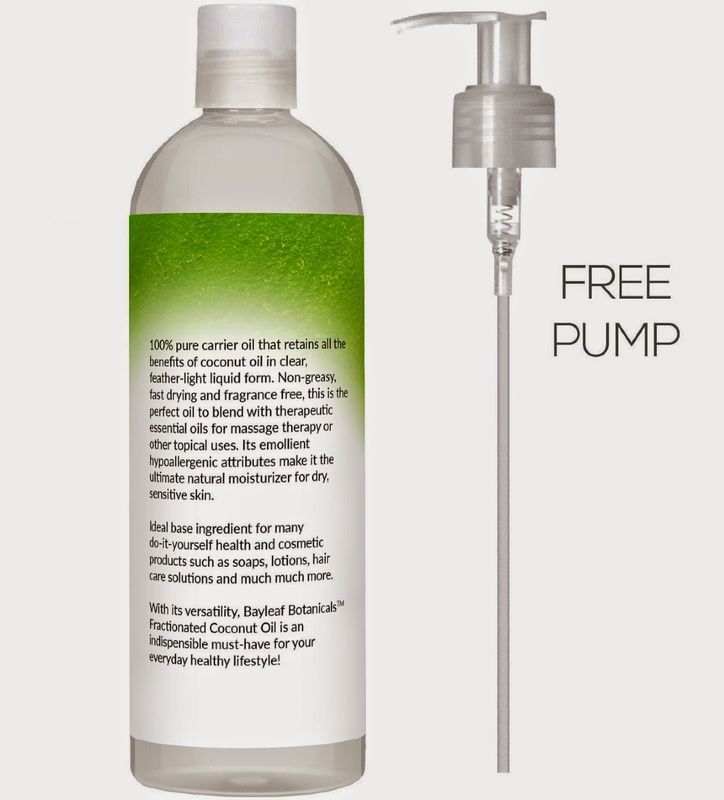 The great thing about Bayleaf Botanical Coconut Oil, it comes with a pump so just the right amount is pumped out. For my hair, just few pumps soften my hair strands. I also heard it is great to apply coconut oil to your before bleaching so it would reduce the degree of damage it bleaching does (though I have never tried this). It is also great to use as a hair mask, towel dry your hair then apply the oil, leave it on for five to ten minutes and rinse. You have soft, shiny, and smooth hair. Another benefit of coconut oil it is great as massage oil. At time I have serious knee pain and I use this coconut oil as a massage oil to massage my knees. This also gently removes makeup even the waterproof mascara. To order a bottle of Bayleaf Botanicals Fractionated Coconut Oil, click here. Hello friends! Welcome to my blog! My name is Hezar. My blog is a mixture of beauty, DIY, reviews, lifestyle and more! I am a parent to a daughter name Warveen and I hope you enjoy my blog! @DREAMSTIME Handbag image ID 89913622.